Ultra Chewy Double Treat Bones are tail-wagging good! Made with a highly digestible rice formula and packed with irresistible flavor your pup will be begging for more. The double layer controls plaque and tarter for better oral health, dogs just can’t wait to clean their teeth with these chews! Feed as treat or training reward. Not suitable for dogs with a sensitive stomach. Provide fresh water at all times. 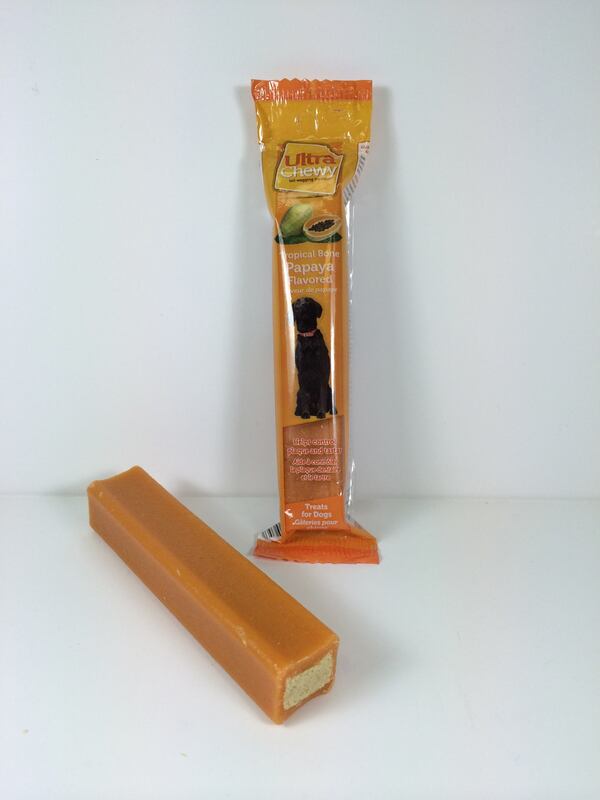 This treat is not meant to replace your pet's main meal. Always supervise your pet while he is chewing a treat. Avoid giving the treat in a carpeted area or other location that can get stained. Remove treat immediately if you see that it has splintered or small fragments break off. These treats are not recommended for animals with digestive problems, allergies/sensitivity to one or more of the ingredients, animals with teeth issues or recovering from surgeries, or aggressive chewers.